Popular Gab is a painting by Kris Dixon which was uploaded on October 5th, 2010. 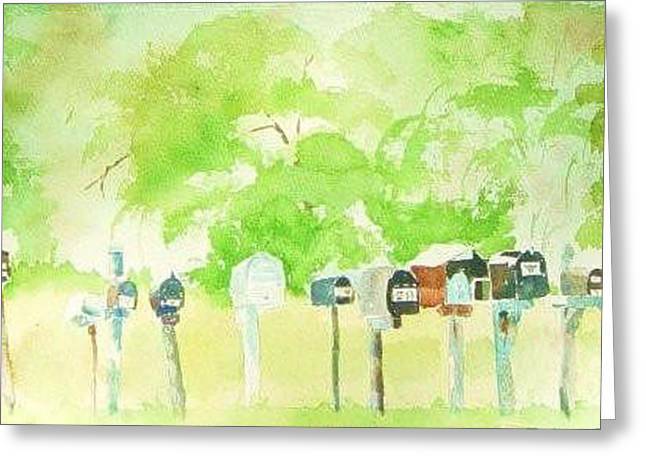 A group of mailboxes sit side by side at the beginning of Poplar Gap road. They seem to be gossiping with each other; therefore, the name of the painting is "Popular Gab." There are no comments for Popular Gab. Click here to post the first comment.